The love story between Ross Poldark and Demelza Carne is every bit as dramatic as the landscape in which it is set. 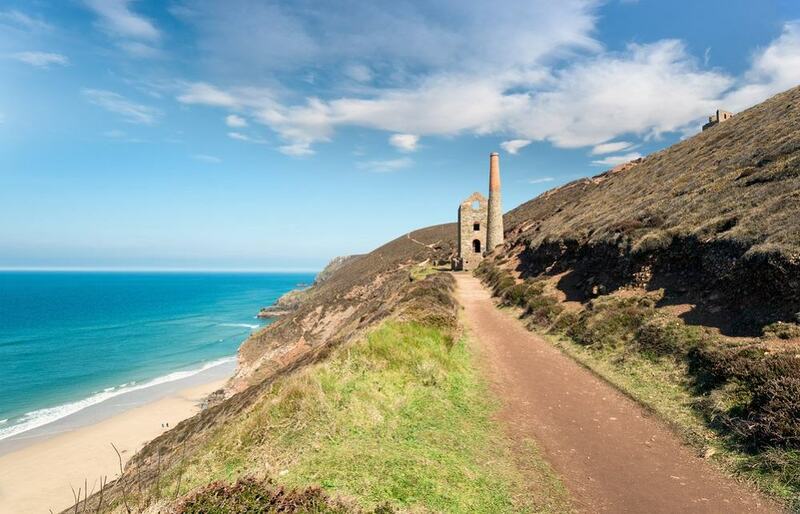 You can imagine the dashing British Army captain and the feisty servant girl who would become his wife set against the backdrop of the Cornish coast where they lived. 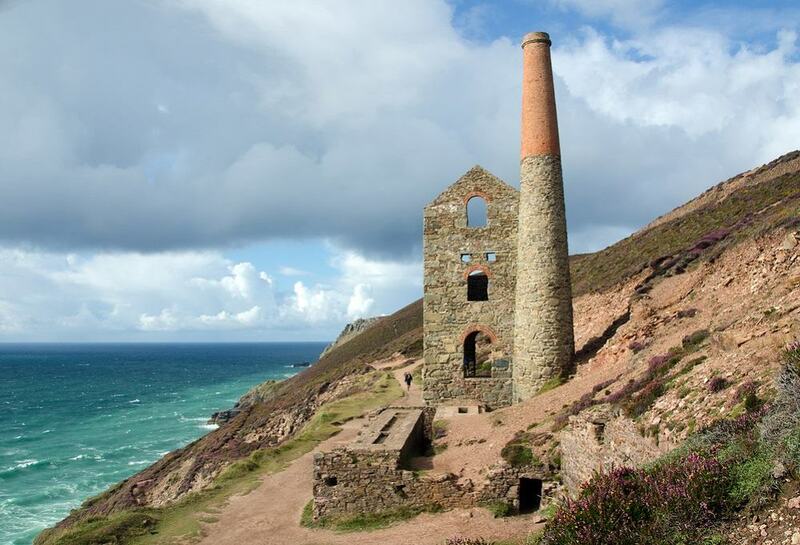 Ross Poldark was heir to a mining business and reminders of the glory days of Cornish tin and copper mines can be found around St Agnes, part of a World Heritage Site. 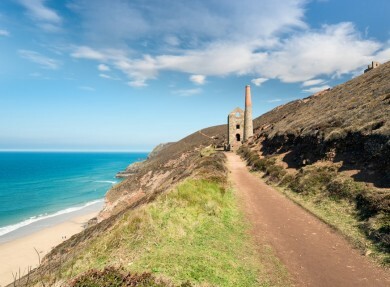 As a Cornish landmark, St Agnes Head still has iconic mine buildings; reminders of the past when the mines Wheal Charlotte, Wheal Coates and Trevellas were still in production. 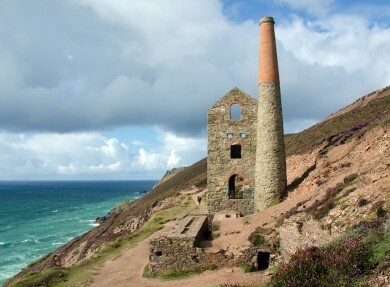 The coast has the last remnants of the heathland which once covered most of Cornwall. Shipwrecks feature in the Poldark stories and it would be easy to imagine the dark nights when smugglers haunted the coastline, risking all to bring contraband to shore. St Agnes Beacon – visible for miles round – was used during the Napoleonic Wars (1803-1815) when it would be lit if there were sightings of French ships. It’s the most prominent feature on this heritage coastline and offers panoramic views.